The C1-02 is even more affordable, with an expected retail price of EUR 35. 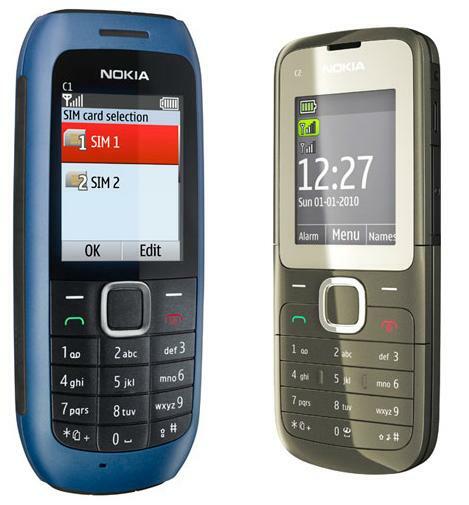 (~Rs 1900) It’s designed as anyone’s first phone and first access to the world of mobile and digital communications. Despite the price, beyond making phone calls, buyers once again get Ovi Mail and Chat, Bluetooth and the same SD memory card slot and music features. The Nokia dual-Sim Phone C2 also comes with FM radio and music player, with a massive amount of music storage with the phone supporting micro-SD cards of up to 32GB.The handset offers a wide range of information covering health-care, agriculture, education and entertainment via Nokia’s Ovi Life Tools, as well as the email account of its own Ovi Mail. In addition to Ovi Mail, people’s favorite consumer email and chat accounts like Yahoo, Gmail, and Hotmail can be pushed direct to the phone via Nokia Messaging Services (NMS).